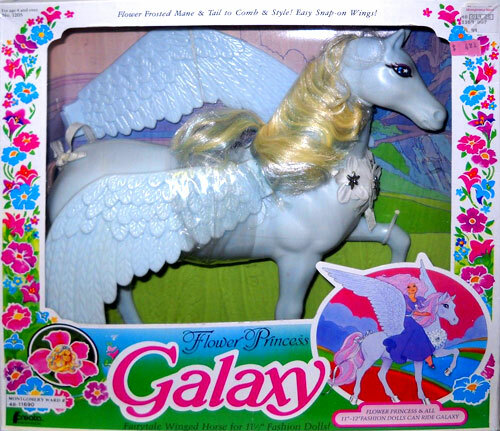 MLP Year 11 had eight sets of new ponies, but no special offer ponies, playsets or accessories. 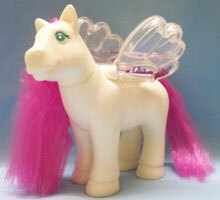 US production ceased after year 10, so all ponies were produced for the UK/Euro market. 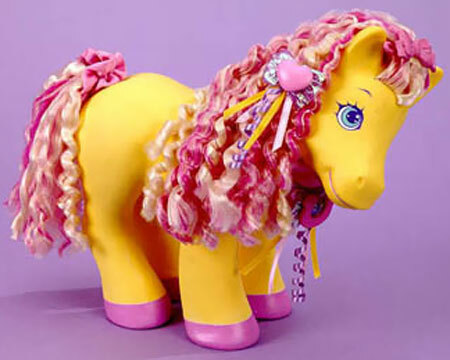 Hair-do Ponies were covered with a pearly lustre and had very long manes with a wide fringe. They were not sold in US. 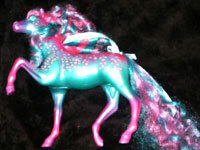 A variation of Starlight was released with the Seven Pony Friends set. 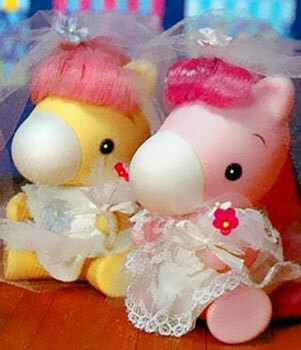 They each came with lots of special hair accessories. 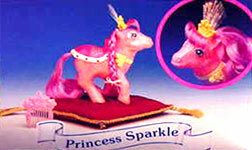 Princess Sparkle was covered all over in glitter, had a molded cape and fiber-optic crown. 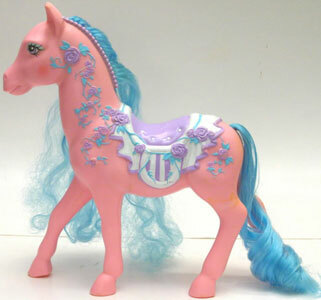 When the bow on her neck was turned her crown would light up, and would change colour with each turn. Her removable cape hid the battery compartment. She was not sold in US. 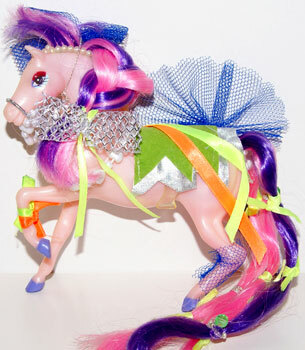 She comes with a traditional pink Princess Pony glitter star hair pick. 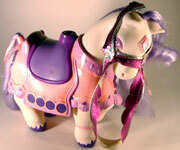 Rollerskates Ponies had molded-on skates. 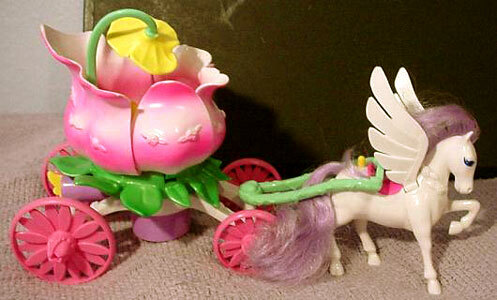 The back two skates had wheels that roll and when you rolled them back and then let them go, they skate on their own. 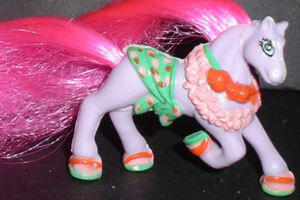 A variation of Melody was also sold as part of the Seven Pony Friends set. They were not sold in US. 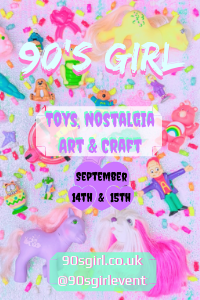 They came with pink sunglasses and a walkman on a belt with earphones. 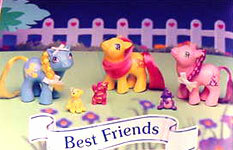 Seven Pony Friends were the seven main characters from the animated TV series "My Little Pony Tales", which aired in the US 1992. They were not sold in US. 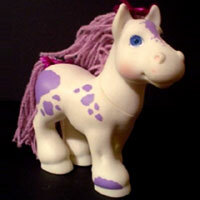 Each one came with a comb to matched her personality and tiny stickers on a heart shaped pad that you could decorate your pony with. 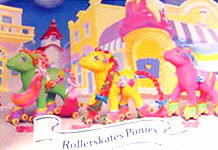 Variations of three of the ponies were also sold in different sets (Melody, Starlight and Sweetheart). Family Friends & Family Babies were three sets of three ponies, like Year 7's Loving Family Ponies. 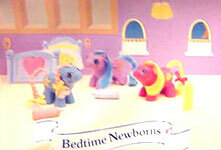 Each set consisted of a mummy, daddy and baby pony. 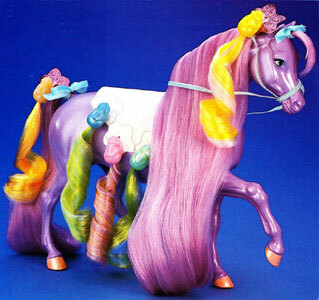 They all had multi-coloured hair in four different shades, stripped horizontally rather than vertically. 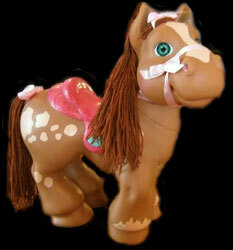 The male ponies didn't have clydesdale hooves as expected, so looked like slightly larger female ponies. They were not sold in US. Bedtime Newborns were the fourth set of newborns produced. They were not sold in US. They each came with a bottle. 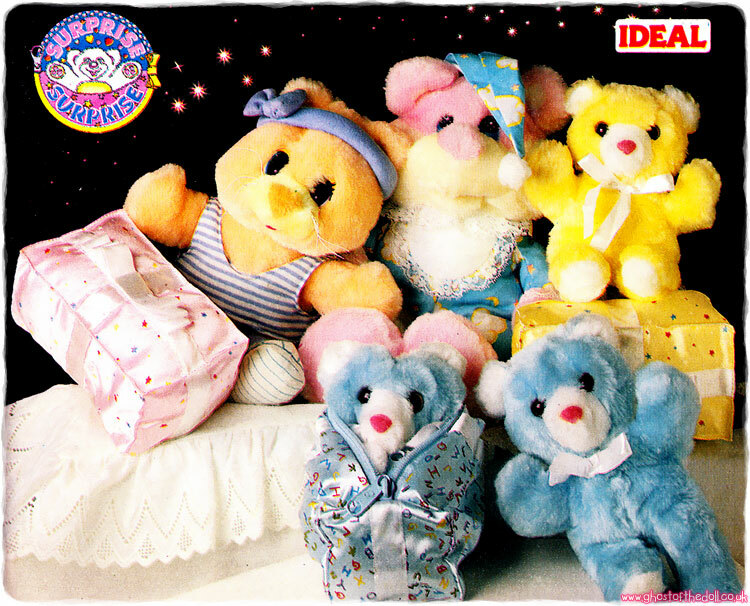 Best Friends each came with a little animal which were made in the same styles as the babies from the My Little Puppy, Kitty and Bunny families. They were not sold in US. 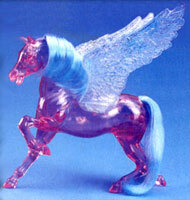 Nesthäkchen Baby Ponies were only released in Europe but not the UK (or US). 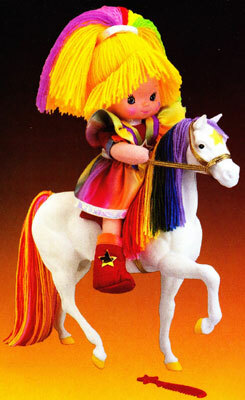 Nesthäkchen means nestling or baby of the family but the ponies names are much harder to translate. Blubberchen has something to do with making bubbles, Schlummerlein is to do with slumber and Wurfelchen has something to do with dice or cubes. 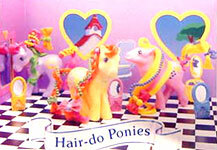 They each came with various accessories and a comb.